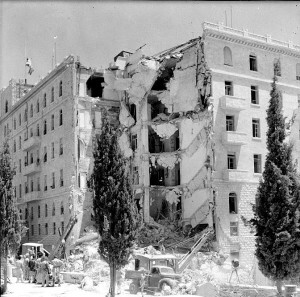 Marc shares some of the events that happened on this day in history, including the births of Emma Lazarus and George Clinton, the death of Errico Malatesta, and 1946 King David Hotel bombing, when a Zionist underground organization, the Irgun, bombs the King David Hotel in Jerusalem, site of the civil administration and military headquarters for Mandate Palestine, resulting in 91 deaths. 1587 – Colony of Roanoke: a second group of English settlers arrives on Roanoke Island off North Carolina to re-establish the deserted colony. 1793 – Alexander Mackenzie reaches the Pacific Ocean becoming the first recorded human to complete a transcontinental crossing of Canada. 1916 – In San Francisco, California, a bomb explodes on Market Street during a Preparedness Day parade killing 10 and injuring 40. 1934 – Outside Chicago’s Biograph Theater, “Public Enemy No. 1” John Dillinger is mortally wounded by FBI agents. 1937 – New Deal: the United States Senate votes down President Franklin D. Roosevelt’s proposal to add more justices to the Supreme Court of the United States. 1939 – Jane Matilda Bolin appointed judge of court of domestic relations in New York City, by Mayor Fiorello LaGuardia and became the first Black woman judge. 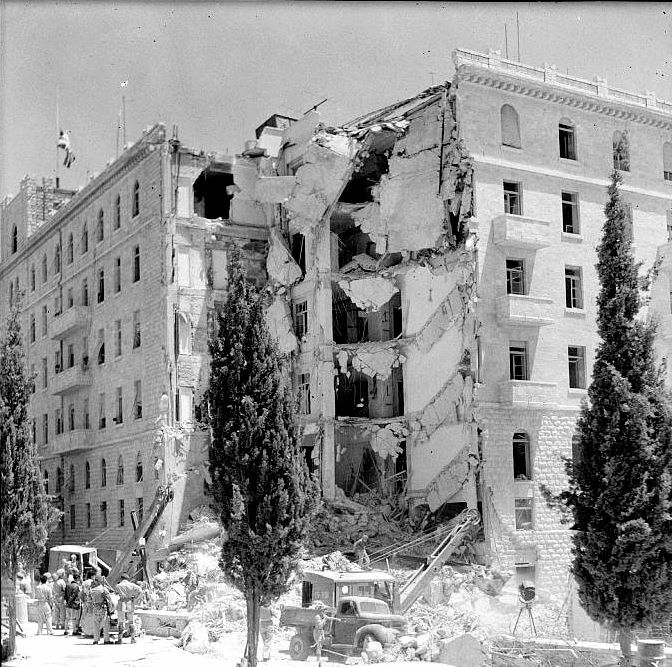 1946 – King David Hotel bombing: a Zionist underground organization, the Irgun, bombs the King David Hotel in Jerusalem, site of the civil administration and military headquarters for Mandate Palestine, resulting in 91 deaths. 1951 – Dezik (Дезик) and Tsygan (Цыган, “Gypsy”) are the first dogs to make a sub-orbital flight. 1993 – Great Flood of 1993: levees near Kaskaskia, Illinois rupture, forcing the entire town to evacuate by barges operated by the Army Corps of Engineers. 2003 – Members of 101st Airborne of the United States, aided by Special Forces, attack a compound in Iraq, killing Saddam Hussein’s sons Uday and Qusay, along with Mustapha Hussein, Qusay’s 14-year old son, and a bodyguard. 2005 – Jean Charles de Menezes is killed by police as the hunt begins for the London Bombers responsible for the 7 July 2005 London bombings and the 21 July2005 London bombings. 2011 – Norway is the victim of twin terror attacks, the first being a bomb blast which targeted government buildings in central Oslo, the second being a massacre at a youth camp on the island of Utøya. 2013 – A series of earthquakes in Dingxi, China, kills at least 89 people and injures more than 500 others.